In our daily lives, stress and tension can build up for many reasons. Without realizing it your health can be negatively affected. Diet and exercise can remedy some of these problems but what can compare to a good massage. Finding a professional masseuse may not always be an option. Imagine getting a great massage in your home, office or car instantly. 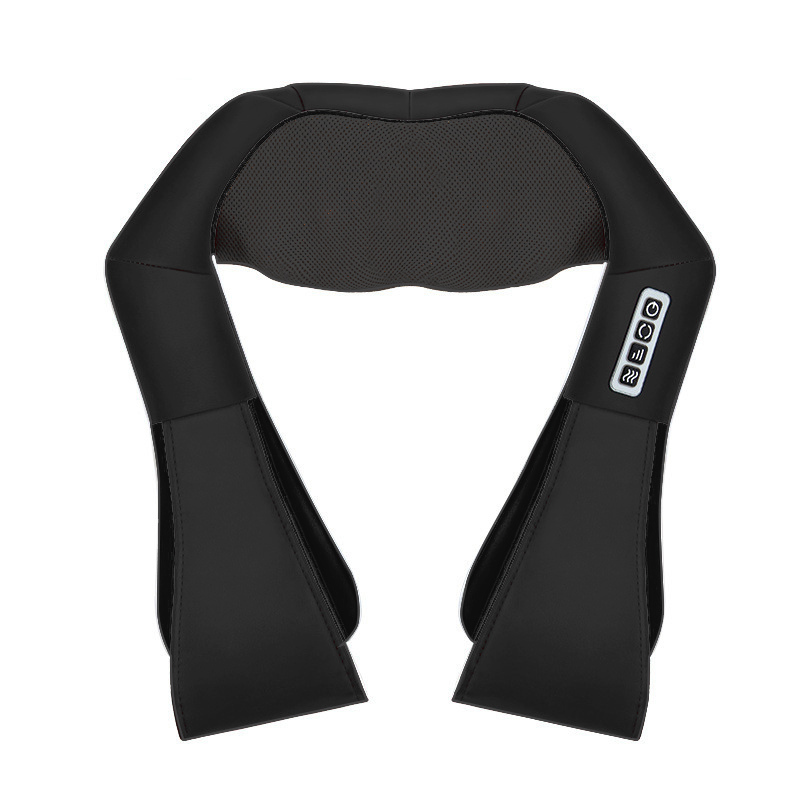 Our unique lightweight massager actually works wonderfully all over the body. 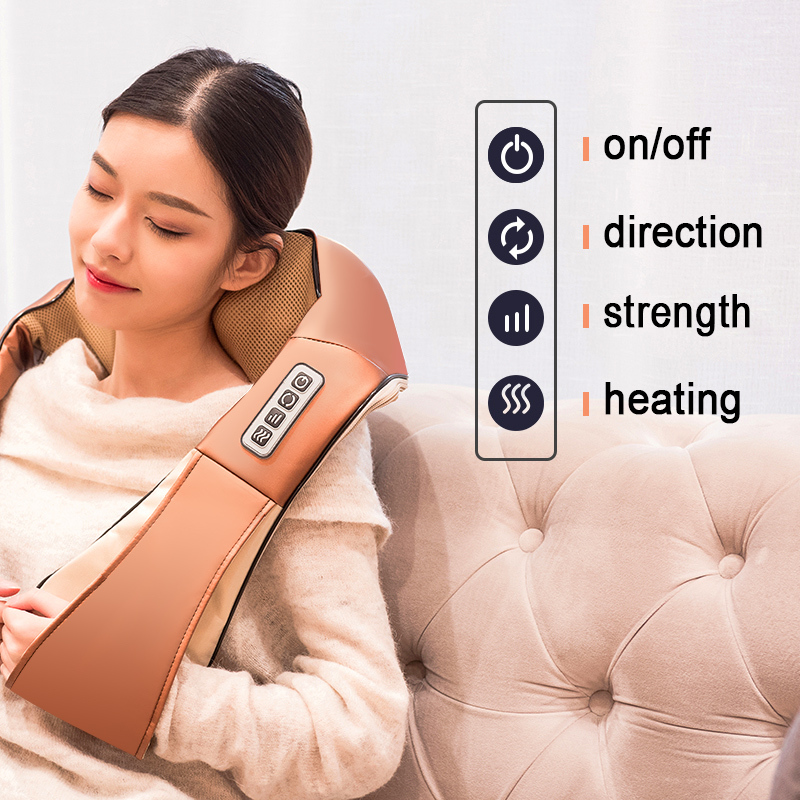 Customize the massager with 3 different settings or add heat. 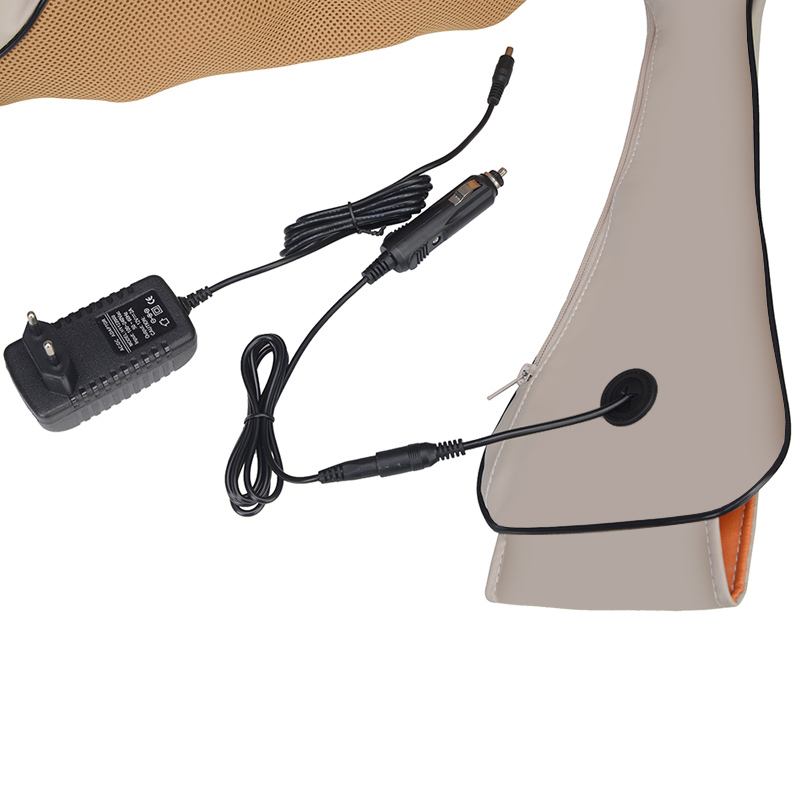 The next time you sense stress or pain just reach for our portable Shiatsu Massager. Please allow 2 to 4 weeks for delivery. Ships from USA. Features: A comprehensive thermal protection device, effectively protect human safety and product life. When the internal motor overheating or quartz fiber far-infrared radiation overheating protection mechanism will start hot, cut off the current so that the host suspended. Once the temperature drops to secure a critical point, automatically starts to work again. If used in the car, connect the output port of cigarette lighter to the massager plug. Press the power switch on the control panel. The massager starts to work. Press the direction button, the massager’s heads rotate in reverse repeatedly. Press the infrared button, start the infrared heating function. After use, turn off the massager then disconnect the plug. Portable. Both AC adapter(110-220V AC to 12V DC) or car adapter are included for home, office and car use. Super shipping Kemerovo region. 7 days, massager just super cool. You will not regret!! Fast shipping. Excellent neck massage after a heavy day of labor. Got Massager very quickly. Packed well, just like in the description. Thank you for the speed and quality. All the buttons are working fine. It has been tried in action and it is incredible! Definitely value for money. Good product. I have used it more than 1hr continuously and it had no problems. Friends all super goods delivered in excellent condition good packaging try massager is the bomb, it is worth it. I will recommend this store, everything is great. Massager works well packed in the original box. No deficiencies discovered. Price is right. Working well. Good machine, recommend. It works for doing a back massage. Perfect, delivered in under two weeks. Great product. Fast shipping and fast delivery! Massager is very cool! Seller recommended! Thank you very much! Massager is very good! relaxes, especially good for those who have jobs that cause neck strain. Thank You.